An easy day hike, suitable for beginners! Accessible by bus, the nearby Tilden Regional Park has plenty to offer and has some great views of the Bay. Hike from Downtown San Francisco over the Golden Gate Bridge into Sausalito, and then take a ferry back home. Explore some of the most iconic and beautiful parts of the Bay Area. 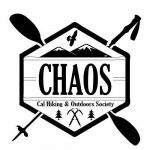 Come learn more about CHAOS! After the meeting, join us for an easy night-hike in the Berkeley hills fire trails. We will start at 8:30 pm at the Golden Bear statue outside of Memorial Stadium (across from the Haas School of Business). Bring water and flashlight if you have one. A moderately difficult 7.3-mile day hike, the Matt Davis – Steep Ravine Loop takes you through Redwood forests, past waterfalls, over grasslands, and into canyons. One of the Bay Area’s best hikes!